Lead In Lipstick: Are You Really Safe? What might you have in common with a Samurai, an 18th-century European aristrocrat, or even Queen Elizabeth I? The answer: exposure to lead via makeup, and more specifically, through lipstick. Lead in lipstick was a significant cause for the decline of the Samurai class; wives wore the deadly balm and inadvertently poisoned their young via breast milk. No doubt, Queen Elizabeth I's famous "Mask of Youth", white lead-based powder, finished with red cupid-like painted lips, had an influential affect on the fashion of the time. Many Europeans died of lead poisoning from exposure through their makeup. In the last three years, FDA regulations on lead levels in lipstick have been reviewed and found to be safe by their standards. But, are those who use these products safe? The FDA's official bar is set at 20 parts per million, and more specifically, that's as it relates to the additives found in the coloring that goes in to the makeup. That is the exposure allowance any company can safely use in additives to their lipsticks. The FDA's official statement is that lipsticks "worn properly" are not cause for a concern in "elevated consumption". However, lead can stay in our system for varying amounts of time, and can build over time. Over-exposure to lead can cause health problems, as well as severe disabilites in infants. Why would we allow this toxin to enter our system? Are we really so vain, that our beauty habits can harm us so badly? As of 2010, the cosmetic industry in America was worth $50 billion. (Lipsticks, on average, cost between $8 to $12.) Most of these do have a percentage of lead. That is, the more familiar brands we tend to see on store shelves mostly contain lead. Keep in mind, the FDA consumption rate is 20 ppm, whereas the legal limit in water consumption is (and this is at the high end), 15 ppm. This is lower than what the FDA approves. What's more, is that 15 ppm can only be found in 10 percent of water tested at a time. But is this cause for health concern? Lead can stay in our body from 40 days to ten years. On initial exposure, its half-life (or the time the body breaks-down the substance), starts at 25 days. That means only half has been broken down. Depending on the amount of lead exposure, it can take about 10 years, that is, if one is not ever exposed to lead again. A body's total amount of lead, also known as the "body burden", can be exceeded when chronic exposure occurs. In other words, wearing your favorite lipstick, over a period of years, is harmful to your health. After initial outer exposure, your body can continue to be exposed to lead internally, through the absorption process. Lead is absorbed mostly through bone and then soft tissue. If you wear lipstick every day, you are exposed to, at the high end in some brands, 3 percent of the allowable rate. You are then consuming .6 ppm of lead daily, which may not sound so concerning at first. But to better understand the rate of exposure over time, one can think of it like compounded interest-your body's ability to break down chronic exposure takes longer, and longer. The brands that are found in most of our makeup bags have done a very good job in assuring us that their products are safe. Playing on a youth-obsessed public's fear of aging is a handy, and powerful weapon. While many major brands are actively working to decrease lead in lipstick, a consumer has to be thorough in determing just which product does or doesn't contain lead. With other products on the market that ensure your safety, it might be time to find a new favorite color, and brand. 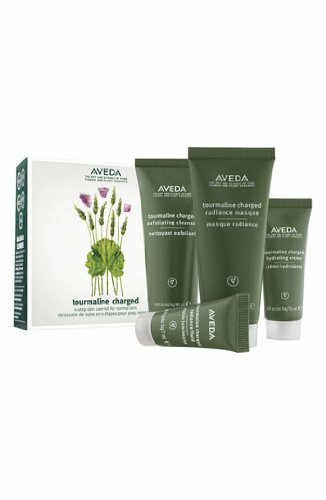 All natural, plant-based Aveda provides skin with nourishment and care, and is a cruelty-free product. Hepp, N. M., Mindak, W. R., and Cheng, J., "Determination of Total Lead in Lipstick:/Ref 1, Main FDA Analysis of Lead in Lipsticks. unknown, Article/http://www.fda.gov/cosmetics/productandingredientsafety/productinformation/ucm137224.htm: Federal Drug Administration, December 27, 2007. Alvarez, Maureen, CIH, CSP "The Health Hazards of Lead." Osh.net http://www.osh.net/articles/archive/osh_basics_2001_may26.htm. n/a (2001): n/a.